High Tatras offer great experiences. Our attraction is easily accessible at Tatranska Lomnica. 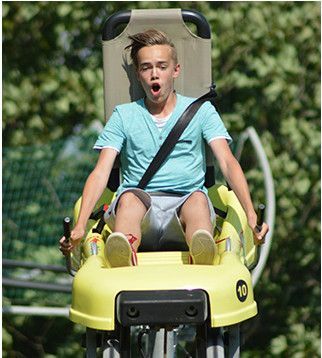 Tatrabob roller coaster is in operation since 2004. It allows very safe rides throughout all Year. The bobsled is secured into the track multiple times. Our staff will fasten Your safety belt and You will be than towed to the highest point of the track. Bobsled is disconected from towing mechanism there and You can enjoy the ride. 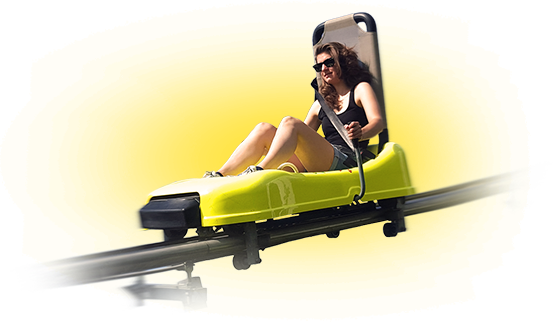 There are brakes mounted to the bobsled and You can easily control the speed. As anywhere else, drive carefully and responsibly. We wish You a beautiful adrenaline moments at Tatrabob! Every visitor is obliged to observe the operating instructions and prescription service! Drive slowly into the finish station! Bobsled does not stop automaticaly in the finish station! Ride carefuly on wet surface, braking distance is longer! Everyone rides on their own responsibility and must not endanger others! Should there be an injury resulting from two or more bobsleds impact, the last rider is responsible. In case of bad weather the track is closed.